So what do you look for when you are trying to purchase good webhosting to start a blog or website in India? This question is quite important, but still would be the same for many users in different countries. I had the same question when i started my first blog 10 + years ago and now I know much better after several hits and misses. To keep it short these are some factors you should be sure of before purchasing your website hosting from a company. The company should have good hosting which you can rely on and the servers should not go down. If servers are not good or not working properly, it means that your website will load slow or then not at all. The hosting providers below all have reliable hosting and good uptime guarantees. Many people will always tell you, always choose the hosting company which provides the server in the same geographical region as your region as it helps your website load faster and helps in SEO. However this is not true, because when you start a website or a blog your audience are not only people in your region and country, but also viewers from all over the world. And so it does not matter much where you’re hosting is in India or in the US. If your traffic is really 90% + from India only and you wish for it to stay that way, then you can choose a Indian hosting company and benefit from nearby servers. But I would suggest you start with a cheap reliable foreign hosting company and then when you know here your major traffic is coming from you could change your hosting provider to local or the make use of cloudfare or CDN service to make your website speedy for your local users. Most of the companies I list here have good support via most traditional channels like, email, phone and also live chat. So if you run into a problem you can just go into live chat and talk to someone or pick up the phone and speak to someone. Payment for hosting is another factor that some people run into problems with, unfortunately not all companies provide PayPal payment service in the hosting niche. However most of them do accept credit card and as payment is done in advance (yearly) for the monthly price that is quoted it’s just a lumpsum payment made once for yearly when you buy the hosting. Hostraja is a local hosting company and they sometimes have offers with upto 60% on Web Hosting. All their hosting-servers are hosted in Mumbai, Bangalore, Hyderabad and Delhi, So your website can load faster without any latency problem. That is bluehost’s promotional price for Indian users at the moment. Click our discount link to get the most updated price. 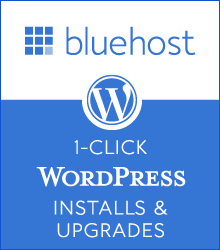 Bluehost is one of the most popular website hosting company for most popular bloggers and is also recommended by wordpress.org. They provide hosting services with unlimited hosting space, bandwidth & email accounts. You can Buy a US or Indian Server (More Preferably) at Bluehost and then make use of CloudFlare’s Content Delivery Network. So, your site will load faster than your competitors. Recently CloudFlare added three new Data Centers – in New Delhi, Mumbai and Chennai.CloudFlare will act as a Reverse Proxy for your Site and Cache all Static Files. If you’re not happy with CloudFlare’s Free Service, then Go for the Pro Service along with railgun to enhance your site’s load Time.Bluehost offers 1-Click Integration of CloudFlare Content Delivery Network. For you to make the best decision, I would suggest that you find at least 5 top hosting providers and check their reviews and also check their facebook or twitter pages for review. In USA, I have heard that, Bluehost provides best support from many of the web developers. Hostgator is the leading web hosting services that is a US based company that also caters to the Indian market. They also focus on VPS hosting & dedicated server’s provider in India apart from the shared webhosting that they provide. They are also known for their world-class technical support. Go daddy got both Linux plans and windows plans for website-hosting. They are one of the biggest domain name registrars in the world and they provide a very big range of services from domain name registration, hosting , SSL security certificates, Domain auctions, website builder packages, Ecommerce, shopping carts, Online shop software, Microsoft online software and much more. They also have a good affiliate commission and reseller program, that I am also a member off. Hostpapa is and international web hosting operator that also operates in India. They have an Unlimited everything plan for Rs 299 a month. Hostpapa also has backup data facilities in a number of other data s in North America. Make sure that your hosting provider has good cpanel or 1 click install options for your to easily get your wordpress website started. 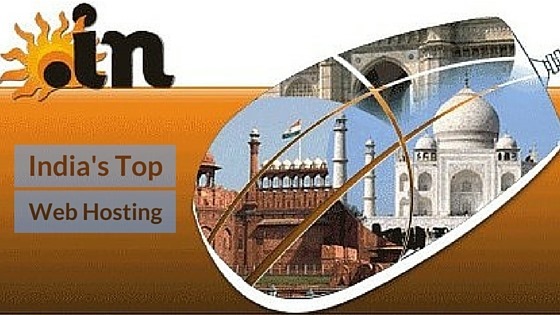 In Registry is an information website about domain registration in India and all the requirements and policy in relation to registration and ownership of the Indian domain names. 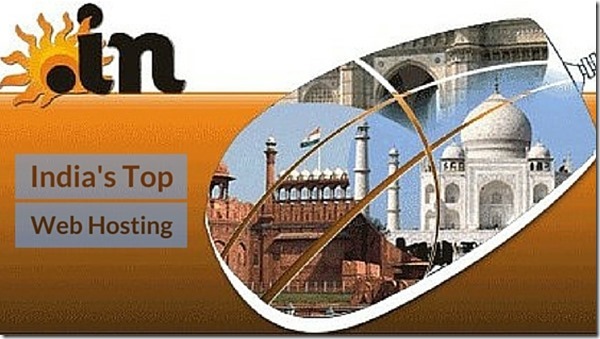 They also have information on how to register a Indian or .in domain name. They also list all the accredited domain name registration companies that are allowed to sell Indian domain names in the market. I do hope I have provided enough information to get you started on your wonderful website project or idea. If I have not covered anything you need let me know via contact page or comments. If you’re looking to start your website journey, don’t delay and get started today. Time is money! It says 20 year plan. . Isn’t it to long. .